With the popularity of home renovation shows like Property Brothers, Fixer Upper, and Flip or Flop, the interest in purchasing previously foreclosed homes to fix up has been steadily across the country rising over the past several years. 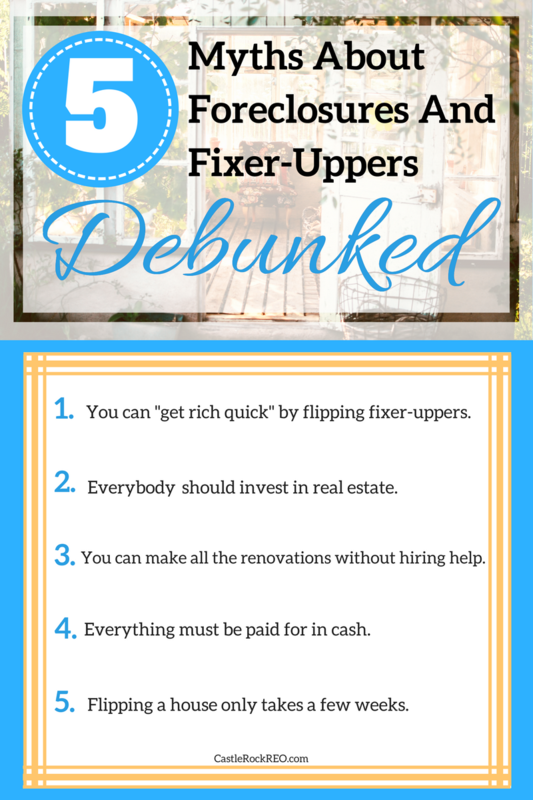 While flipping houses can certainly be a fruitful, rewarding experience, it’s important to know exactly what the process involves before buying a fixer-upper to renovate. Many first-time investors find themselves in difficult situations after purchasing fixer-uppers and realizing just how involved the task of flipping a house can be. It’s true that a successful flip can yield a generous profit, but first-time flippers should beware that this is only made possible through careful, strategic planning and budgeting. Often times, buying a fixer-upper results in unplanned expenses and unexpected renovation work that can cause a flipping project to cost more time and money than the investor may have originally planned for. Many fixer-uppers, for example, tend to be previously foreclosed houses, which may come with added expenses beyond the listing price, such as owed back taxes and unpaid utility bills, building code violation fines, and, depending on the types of renovations being made, additional fees for building permits. First-time investors can therefore increase their chances of a successful flip by making sure their total budget leaves extra room for surprise expenses that may be discovered after purchasing a home. Many people believe that investing in real estate is the safest or most reliable type of investment an individual can make, but successful real estate investments require more than just the upfront expenses. Achieving success as a real estate investor requires careful planning and money management skills, as well as the ability to remain calm under pressure. As we’ve discussed, flipping a property may require more time and money than an investor initially expects. This is especially true if the investor is a first-time flipper or if the home is in an unfamiliar neighborhood where factors like building codes and homeowners associations may need to be considered. That being said, investors who are considering flipping a house for the first time are wise to conduct as much preliminary research about a property as possible prior to purchasing. Another common misconception about investing in real estate relates to the practice of renting out property; while it’s true that this can be an excellent way to earn a return, being a landlord is not as hands-off as some first-time investors may expect. First-time investors considering becoming a landlord or landlady must make sure they have the available time and resources to meet the responsibilities that are associated with this type of investment. Aside from the responsibility of keeping the property up to building and health codes, landlords have additional responsibilities, including staying on top of building maintenance and repairs, address tenant complaints, and thoroughly inspect their properties before each tenant moves in, to name a few. Additional landlord responsibilities will vary by city and state, and it is crucial for investors considering renting out property to fully research the scope of responsibility that will become theirs prior to making any serious decisions. It’s only natural that real estate investors looking to maximize their profits may be tempted to budget as if every renovation can be tackled with a DIY job. Unfortunately, though, this type of planning is rather shortsighted, and could even end up costing investors more money in the long run, should the investor need to hire a professional to fix a DIY repair gone wrong. Generally speaking, landlords and house flippers should hire experienced professionals for all plumbing, electrical, and HVAC work in order to ensure the property is safe and compliant with current building codes. New investors in particular tend to have some difficulty with figuring out what their budget should look like. That being said, even the most careful planning may still not ward off unexpected renovation expenses. Of course, careful budget planning is always wise, however, if there are unexpected expenses that cannot be covered by the predetermined project budget, this does not mean that all hope is lost. Instead, investors will just need to make some strategic decisions to afford these additional costs. For example, rather than splurging on high-end cosmetic upgrades, like hardwood flooring or custom cabinets, first-time house flippers can shop for stylish, affordable options instead, like neutral-colored linoleum and refurbished cabinets. These type of planning makes more budget available for higher-priority renovations, like mold removal, plumbing repairs, and electrical upgrades. If there still is not enough room in the budget to cover the full scope of a flip, investors can then consider financing options for the remaining repairs. Many banks and credit unions offer personal loans that can be used for a variety of different expenses, including home improvement costs. Though using a loan to finance a flip may not be every investor’s favorite option, the added interest expenses can still be recouped when the home is sold with some extra planning and careful attention to detail. 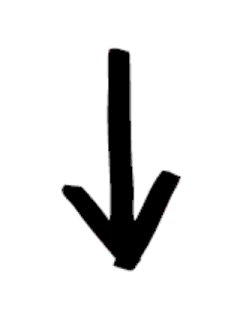 This is an especially dangerous myth for first-time real estate investors to be cautious of. Even when working with a professional contractor, be prepared for the project to extend beyond your anticipated timeline. Whether there are surprise repairs to be made, problems receiving building materials, delays with receiving permits from local government, or other unforeseen events that could delay the flipping process, investors must beware that there are countless unpredictable reasons why fixer-upper projects may fall behind schedule. That being said, investors who do run into delays may consider hiring additional help to expedite flips. Additionally, if a flip is completed and listed for sale later than originally anticipated, the investor should take the time to once again thoroughly research recently sold homes in the area to make sure the listing price accurately reflects current trends. All things considered, while buying a fixer-upper can certainly be a bit overwhelming for first-time investors, the satisfaction of restoring a property and bringing life back to a previously distressed home certainly is rewarding. With careful planning and budgeting, there’s certainly plenty of opportunity for investors to earn a high return on fixer-upper purchases. For more information on buying fixer-uppers and previously foreclosed homes, please contact our team today! Don't forget to check out our inventory!